it really has been a while … 22 new stickers and some more coming next week. big thanks to krištof, polja & miha, matej and everyone else again! a letter from england was waiting for me in my mailbox last week. at first i thought what could it be? it soon became clear to me as i noticed a lovely red banana sticker on the bottom of the envelope. letter came from mr. christopher crawcour from westcliff-on-sea, essex, a renowned english collector. envelope included a nice letter and most importantly a package of marvelous stickers for me to choose from. i found 17 new stickers for my collection. mr. christopher thank you very very much. friends polja and miha travelled across california in july. i bet, and they said so too, they had a great time. they brought back the nicest gift for a collector like me. 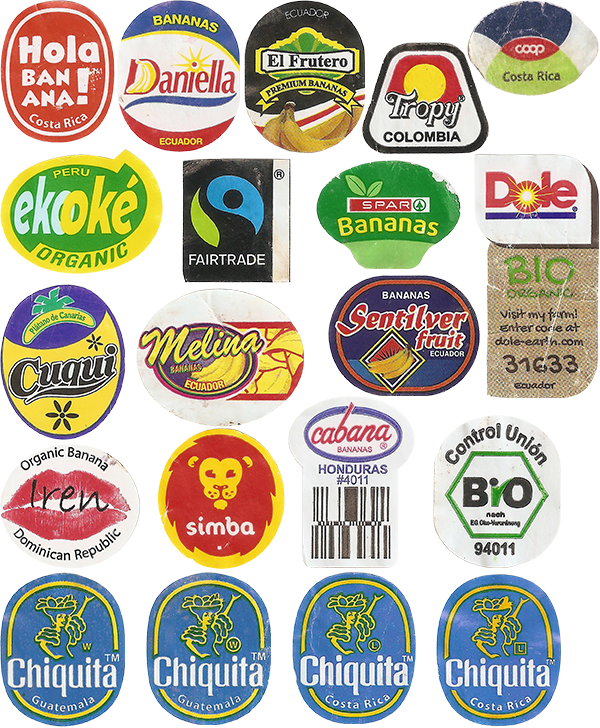 18 new banana stickers! thanks a lot. 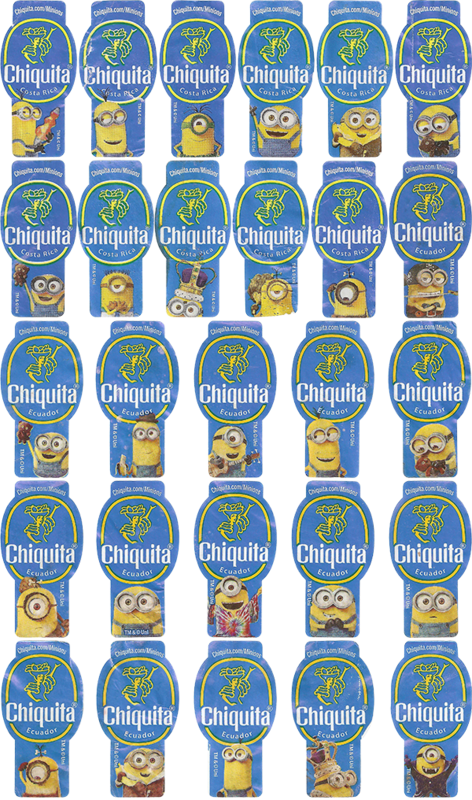 i recently discovered an error in my “chiquita minions” collection – somehow i managed to duplicate a few … now i am down to 1210 stickers overall. 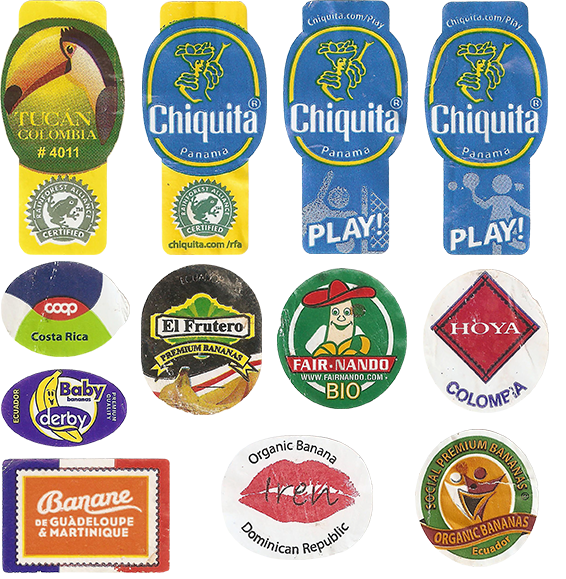 anyway, derby released new “baby banana” sticker. 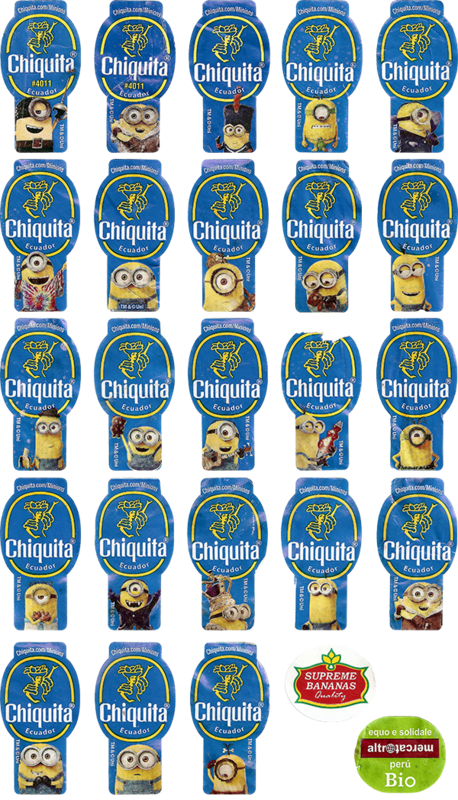 hopefuly new “chiquita play!” set is coming out. 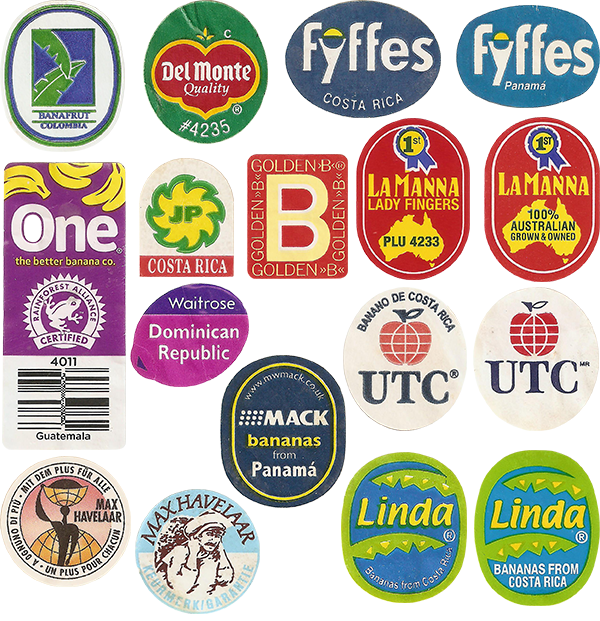 and big thanks to friend mitja who contributed another 5 labels. recent addition to minions collection. some new stickers, it’s over 1200! thanks to dear friend krištof, polja and miha, cousin luka and everyone else for the tips. 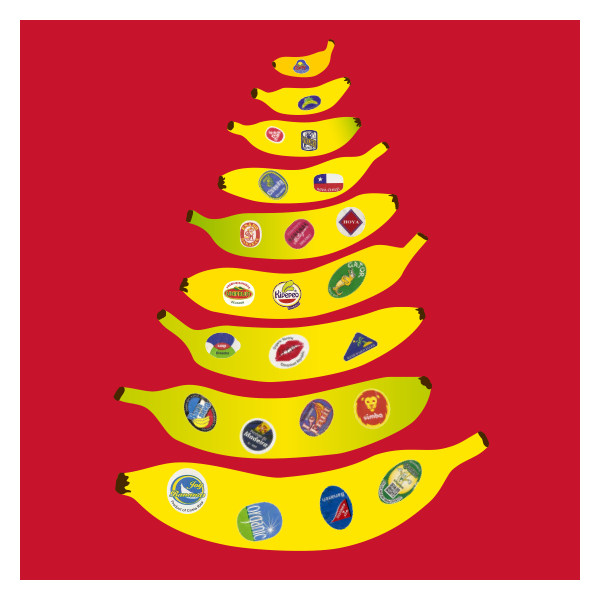 derby bananas released a new sticker. 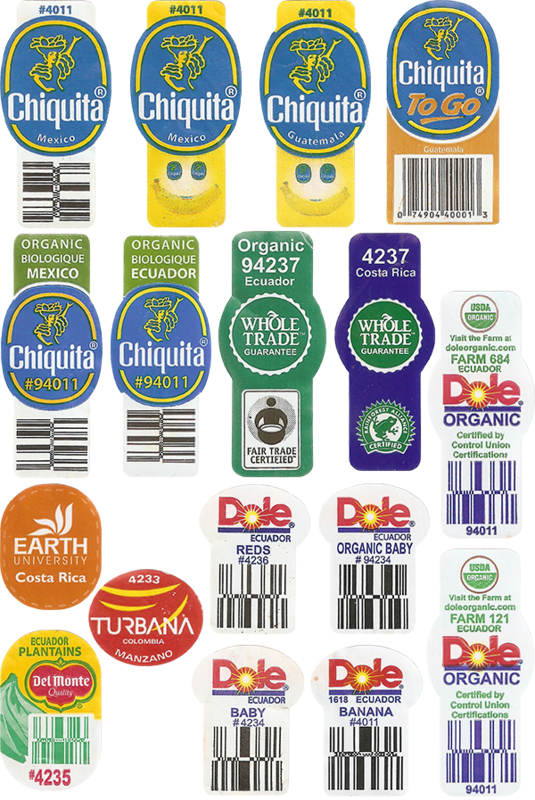 graphic remains similar to recent stickers, but the shape is new – a sort of superellipse. 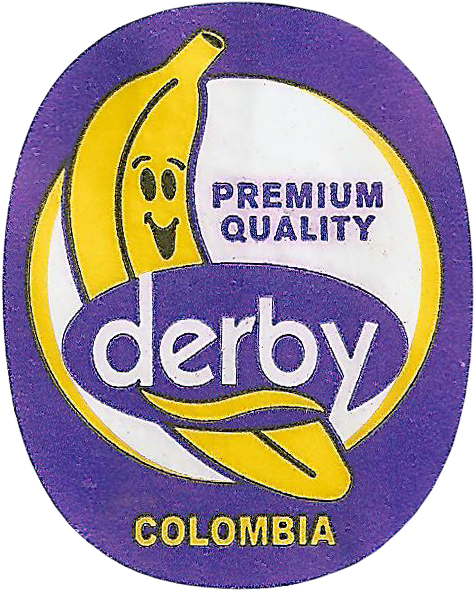 columbia also seems to be a novelty country to derby bananas. friendly mr. witold from poland contacted me. he too collected a few stickers over time and stuck them to his desk. 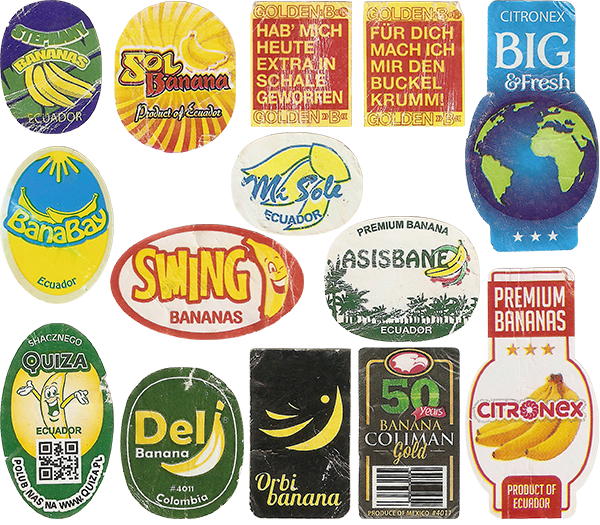 he incidentaly found my website recently, and was so amazed about what he saw, that he decided to donate his banana stickers to my collection. 14 new amazing stickers. this is just wonderful. thank you very much, witold. 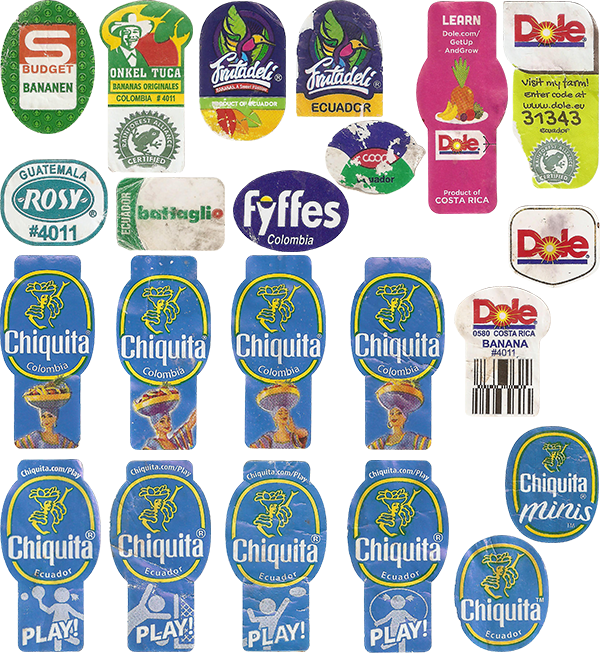 plus another altro mercato (different font used for “bio”) and thanks again to my friend krištof for nice supreme bananas sticker.